Arcco Large | If you are used to surf long open faces and powerful waves. If you are used to surf long open faces and powerful waves, Arcco was designed for you. 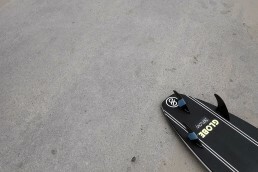 The design of the rake is focused to enable surfers to control on open face waves long arc carvings. This template has plenty of base, which enables you to accelerate on drive bottom turns, but it refines out to a thinner top for good release. Arcco has a carbon fiber layer designed to improve the flex pattern through the top of the fin. 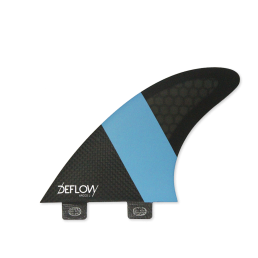 The result is a highly responsive fin with maximum drive. High degree of sweep angle. Point break and open face waves.